and reputation in both Sales & Property Management. Over 22 years experience. A true professional with an outstanding track record and reputation in both Sales & Property Management. Janet has the ability to maximise the value of a client’s most valuable asset within the most challenging of market conditions. Remaining calm and focused, even under extreme pressure, she maintains a sensitive and confidential approach in all her business dealings. Her strengths include a distinct ability to match the needs and goals of her clients. A tenacious agent with who is approachable and ethical thriving in an environment that is constantly changing. Committed to continually raising the bar by providing every client with six star personalised service. "We purchased our apartment from Janet Kayes more than ten years ago in a great location in Woolloomooloo and it was clear she was working for the owner to achieve the best price possible. Since that time we have had an ongoing relationship with Janet as she has acted as our rental property manager for that apartment and continues to do so. Our tenants over the time have been exceptional and we have never had a problem. Just recently we have instructed Janet to manage the sale of a car space and she has worked tirelessly to procure the sale. We are soon to be signing Janet up to manage our apartment in Potts Point. This is a property that we call our home and which we are very attached to. We will be moving out for a number of years to travel but aim to return to it and we are comfortable knowing that Janet will find the right tenants for us and that it will be very well overseen whilst we are away. My husband and I have no hesitation whatsoever in recommending Janet as she is a true professional who is willing to offer her time even on Sundays, as her customers always come first." "Janet has been my “go to agent of choice” since 2008 because of the high level of care and professionalism with which she runs her business. By capping her client portfolio, she ensures she has the time do things properly, getting to know the property and owner, and provides an excellent, reliable and diligent service." "I would like to pass on my appreciation to Janet for all her real estate “assistance and knowledge” in all my property endeavours including Rental, selling and buying. She has always been most professional, patient, and understanding. Her awareness of my personal position has always been obvious and made things so much easier, thus I would highly always recommend her. Many, many thanks "
"Janet has been managing my investment property for a period of 13 Years. Janet also successfully sold my commercial terrace in the CBD achieving a higher than expected result in difficult circumstances. Janet has proven to be very tenacious and ethical, she doesn’t place you under any pressure. Her philosophy is that, it is all about achieving the best possible outcome for her clients and ensuring that they are happy with the end result. Janet’s wealth of knowledge in relation to style and decorating was invaluable to me, being a novice, when renovating my home. She possesses a rational level headedness, a calm persona, experience and maturity which qualifies her as a five star agent. I would not hesitate in recommending Janet for her property management skills, negotiating and Sales ability." "We would like to thank Janet for the professional and caring way she handled selling our previous home and now the repurchasing of a new home. I have to say that she went the extra 'half yard' to assist us in selling and then repurchasing and it is much appreciated. Her patience, knowledge and perseverance when there were anxious times in a market that was less than buoyant is outstanding and I personally appreciated the fact that she could advise us as we went through the process of selling/buying because of her many years of experience in real estate. We have recommended your services to our friends, as you know, and want to again thank you for appraising their properties by helping them with a suggested sale price for their properties and some advice for selling or retaining going into the future. I know it has helped them enormously. We will be looking for an investment property in the near future and look forward to working with you again." "Hard working, honest and fair. Follows all the leads, leaves no phone call unanswered, no email unreplied"
"In the past we have had some underwhelming experiences with agents when both purchasing and selling property. Janet Kayes helped us find our new home in Woolloomooloo. Whilst appreciating that Janet was acting for the vendor, for the first time we felt that someone was also helping us. Janet made the process easy, fun, exciting and secure - everything you would want when moving to a new home. In the future, Janet would be our first choice when buying or selling property." "Sale of our Property I would like to thank Janet Kayes for the manner in which she sold our property. As an elderly couple we find the process very over whelming. Janet has been very protective and caring towards us, she went above and beyond the sales process to help us on a personal level as well as professional level. Before listing with Janet we previously had our property listed with another Agent without success. 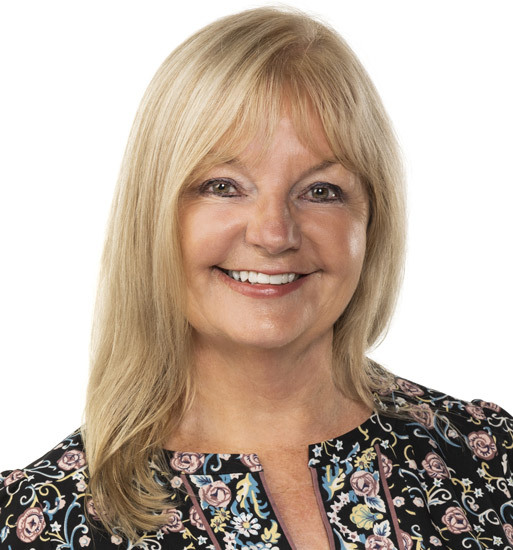 Janet took over the sale of our property and she was extremely tenacious and worked very hard to achieve a price $100k over the previous highest unsuccessful offer from another Agent. As we are sight impaired, Janet registered our pool with Council, assisted with our mail, organised a cleaner and worked closely with an Immigration Lawyer to achieve a successful outcome for us. I would refer Janet to anyone considering selling as she has a high level of integrity, is trustworthy and displays genuine compassion. She is tenacious and kept up the same level of enthusiasm until we were happy with the outcome. Thanks again Janet. " "Dear Janet, Thank you for your expertise in securing a tenant for our North Sydney apartment. We really appreciated the extra effort you put in. Nothing was ever a problem for you and you always approached every situation with courtesy and efficiency. Your honesty was refreshing in an industry tained with some unscrupulous people. Once again it was a pleasure dealing with you and we would highly recommend you. I would refer Janet to anyone considering selling as she has a high level of integrity, is trustworthy and displays genuine compassion. She is tenacious and kept up the same level of enthusiasm until we were happy with the outcome. Thanks again Janet." "TO WHOM IT MAY CONCERN, It is with pleasure we offer a testimonial of Ms. Janet Kayes. We have known Janet for approximately 5 years having met her when we purchased our Mother's apartment through Janet. Janet renewed our association some 3 years ago and offered to advertise our city apartments for rentals and we have been working together ever since. We have both found Janet a pleasant, well presented, polite, punctual, conscientious and thoughtful person and extrremely honest. Janet has always presented prospective and successful tenants of a very high standard for us and we have enjoyed our association with her very much. We look forward to a long association with Janet and wish her every success in her future career." "We are very thankful to Janet for the successful results achieved in both sales and rentals of our various properties. Janet’s attention to detail is refreshing and her integrity beyond question. We believe that part of her success is her friendly disposition and relaxed approach to people." "Janet Kayes has been of invaluable assistance to me in organising the refurbishment and subsequent sale of my mother’s unit in Sydney. I live in the UK and can honestly say that I would not have been able to sort this out without her assistance. My mother’s property required gutting and redesigning and Janet organised everything in a calm and capable manner. She sent me a few design choices to decide on but I generally left it to her recommendation as she undoubtedly knew what she was doing. She was also good at resolving a few problems with the builders- holding back final payment until everything was finalised to her satisfaction. She achieved a sale of the unit at a good price and everything went smoothly. I would have no hesitation in highly recommending her services." "Exemplary service, professionalism and results. Janet is a star - highly recommended!"